I was granted funding from EPINOR to participate in the European Educational Programme in Epidemiology residential summer course in epidemiology which takes place every year in Florence, Italy. The course is offered as a collaboration between several European universities and offers an intensive introduction to epidemiological methodology and key statistical methods. The course lasts for three weeks and is divided into week-long modules. In the first week of the course we were introduced to epidemiological cocepts. In the first week we were introduced to rates and risk, attributable risk, cohort studies, cross-sectional studies and sampling surveys. In separate lectures we were taught the statistical methods (confidence intervals, likelihood theory, analyses based on risk, odds and rates, confounding and effect modification) and in addition we had practical sessions where we applied the methods using STATA. In the afternoons we had group exercises where we practiced applying the epidemiological methods. At the beginning of the course we were given several books. I highly recommend reading a little bit whenever you can, because it will help you place the lecture topics into context as the course progresses. There are many terms to learn, and the lecturers highlight and discuss them conceptually. All the teachers had long experience both in teaching and doing high quality research, and were very clear about how to do things right and how they can be done wrong. I believe many students had moments of enlightenment regarding analysis strategies or statistical issues in their own work. In the second week we learned about case-control studies, bias and use of biomarkers. In the statistics sessions we learned regression (logistic, Poisson, Cox), confounding and effect modification and analysis of case-control studies, and practiced them using STATA. In the afternoon groups we did a project where we applied the methods we learned (including how to evaluate confounding, effect modification and exposure-response) on a real data set from a case-control study and made a presentation for the other groups. This groupwork demands that you are careful about organizing the group so that everyone can have their learning needs met. In the morning module of the third week we could choose between advanced statistical topics (competing risks, recurrent events, cohort sampling, propensity score) and key concepts in epidemiology (propensity score, instrumental variable analysis, interaction, causality). In the afternoon we could choose between clinical, environmental and social epidemiology. I was in environmental epidemiology, where again, the teachers were nestors in their field and very interesting to listen. We discussed articles with regard to methodology, and did a case study where we got to try and mix environmental science and epidemiology. The course is both long and intensive, so if you already know the basics, or need only the basics, I suggest that you look closely at the topics (http://www.eepe.org/ – Courses) and choose one or two weeks to participate in. If you want to do the third week, you should be aware of whether you will get access to the modules you find most relevant, as there are a limited number of places. The Centro Studi provides full lodging so that most of the 80 participating students as well as the lecturers share all meals and can enjoy the evenings together surrounded by beautiful Tuscan hillsides. I highly recommend booking your place early so that you can stay at the study centre and benefit from this opportunity to build networks and have fun. Each year there is an additional one-week special course in connection with the main course, and this year it was Epigenetics in epidemiology (1). This course was given by George Davey Smith and Caroline Relton, professors of Clinical Epidemiology and Epigenetic Epidemiology respectively, at Bristol School of Social and Community Medicine. Davey Smith, who is is co-editor of the International Journal of Epidemiology, introduced us to the use of Mendelian randomization (2) as a way of establishing causality in epidemiological studies (3), while professor Relton introduced us to how to use epigenetics as a measure of exposure. Both topics are core issues in epidemiology, and there were several professors attending the course. The group was small and there was plenty of room for discussion and questions regarding methodological principles, how to do the design and analyze data, and particularly professor Relton had designed her slides so that they would function as a reference to things we would need to know once we got started on our analyses. As far as I understood this special course was a one-time only, but professors Davey Smith and Relton will hold similar courses in Switzerland and Bristol. I believe that this would be an excellent option for groups who have biological material and are considering applying Mendelian randomization or doing methylation studies. The goal of the EEPE is to provide excellent teaching to epidemiologists, public health professionals, statisticians and clinicians, and they do indeed. 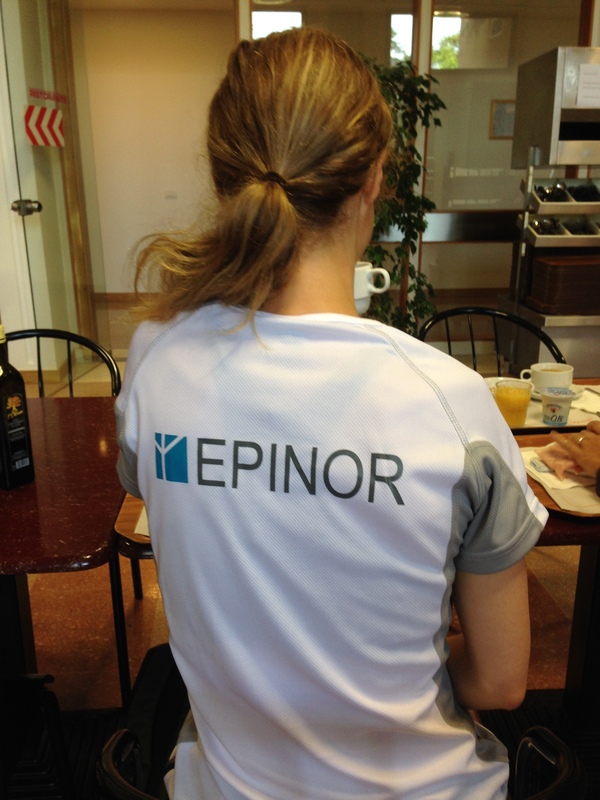 I cannot thank EPINOR enough for the opportunity to participate. It was demanding, as it should be, and it opened my eyes and mind to epidemiology both theoretically and, thanks to my co-students, to the application of these methods on a range of topics.